The UAP South Sudan has initiated Fresh Graduate Trainees’ program to help build the work experience for South Sudanese young graduates. Dionee Mayienga, Marketing and Public Relations Lead UAP Insurance South Sudan, said it was prestigious to provide opportunities to passionate and interested graduates to enhance their business skills. “It is important that we provide opportunities to our smart young minds here in South Sudan so that the people who grow the business also have a deep understanding of the community which the business serves,” she stated. Ms. Mayienga said that the program initiated by the UAP was quite different from the internship program. She reiterated that the program was designed only for South Sudanese young graduates in order to help gain mores skills on their careers. At least twelve young graduates from various professions have been recruited for this year’s program. The initiative is expected to run for six months. However, Ms. Mayienga said they planned to keep the program running since they had been impressed by the success of the current cluster of trainees. “When it comes to June, we will assess their performance and see the possibilities of working together or we please them for their roles and see other business opportunity,” she explained. Ms. Mayienga said that the graduates who qualified to join the UAP program this year can surely get their careers off to a flying start.This was according to the trainees on Tuesday during the interactive session on how the program was impacting the locals’ lives since launched in February. A trainee, Ms. Akeer Sarah Makuei and a graduate of Business Administration and Management from Cavendish University said she was engulfed by insurance scheme to join UAP trainees’ initiative. She now works at the UAP as underwriter and account manager. According to Ms. Makuei, she had a dream to work with an insurance company to comprehend on what the insurance and products selling were all about. Ms. Makuei added that since she joined UAP, she came to know that the Company was helping the locals to change their livelihood in the nearby future. She encouraged the Company to recruit more locals in order to build them and have their skills developed since it was sustaining the citizens. Bomb Philip Albino, a graduate of Mass Communication and Public Relations said that the initiative equipped them on employment of the locals in the industry. He revealed that dealing with clients as per relationship will never be a problem to him and hiss team since they have skills. 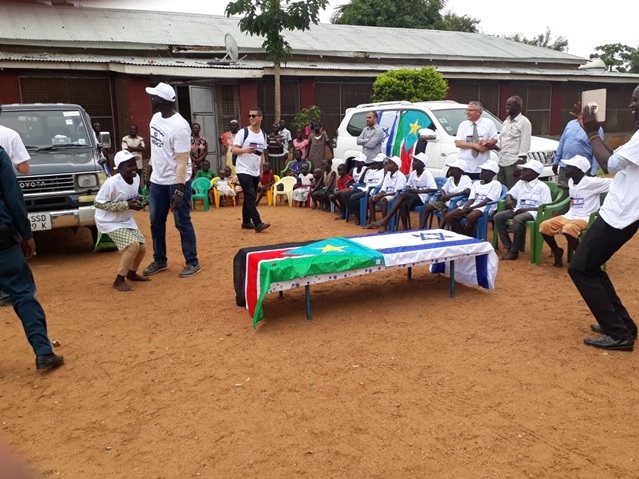 Though UAP is a foreign company from Kenya operating in South Sudan, he is optimistic that the foreign partners were interested in changing the livelihood of the South Sudanese. Albino affirmed that though others had expressed reluctance to apply for UAP graduates trainees program, he admitted that it is beyond the reasonable doubt that what was featuring out was positive. Most of the graduates presently enrolled in the program shared their optimism in the future of the program because they have had opportunities where they could fit in the future of the company since Juba Monitor had a chance to speak with the present trainees yesterday.